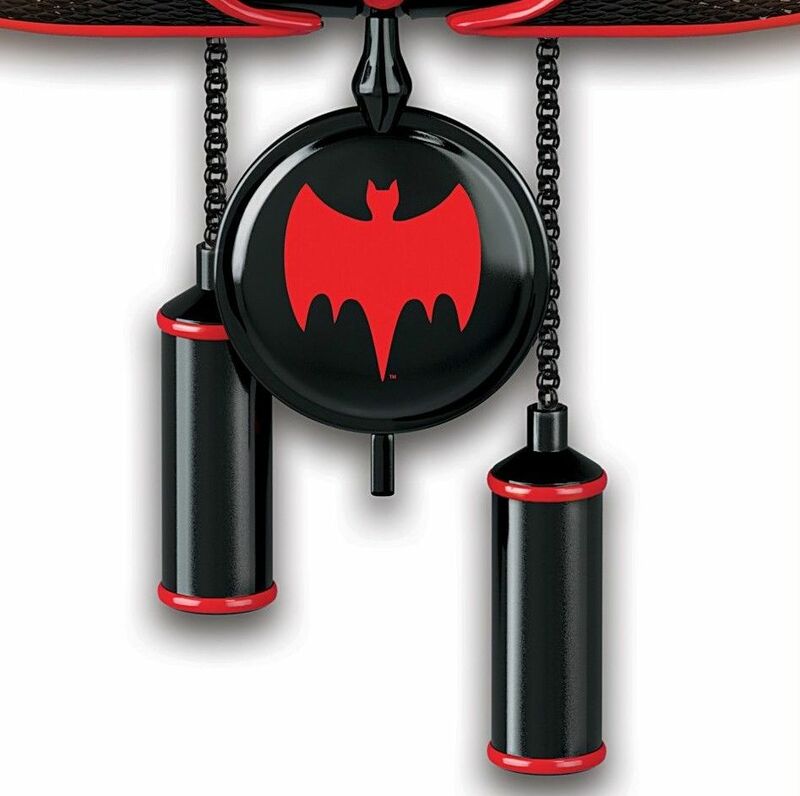 Celebrate the BATMAN classic TV series with the BATMAN BATMOBILE Cuckoo Clock, a first-of-its-kind custom design available exclusively from The Bradford Exchange. 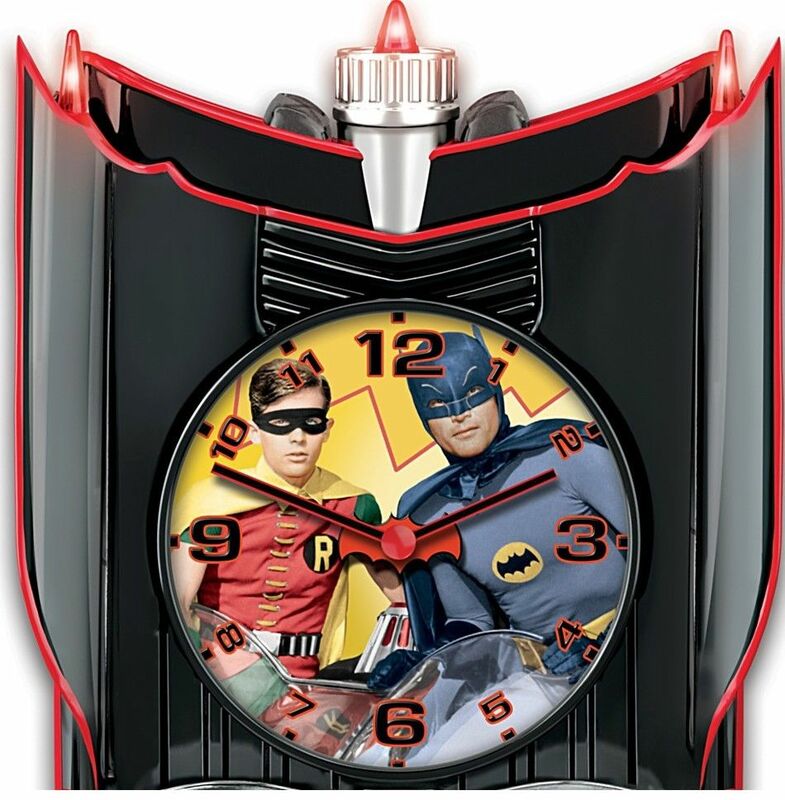 Designed in the shape of the original BATMOBILE, this custom-sculpted timepiece shows off the world-famous BATMOBILE'S every fin and curve from grill to atomic turbine. 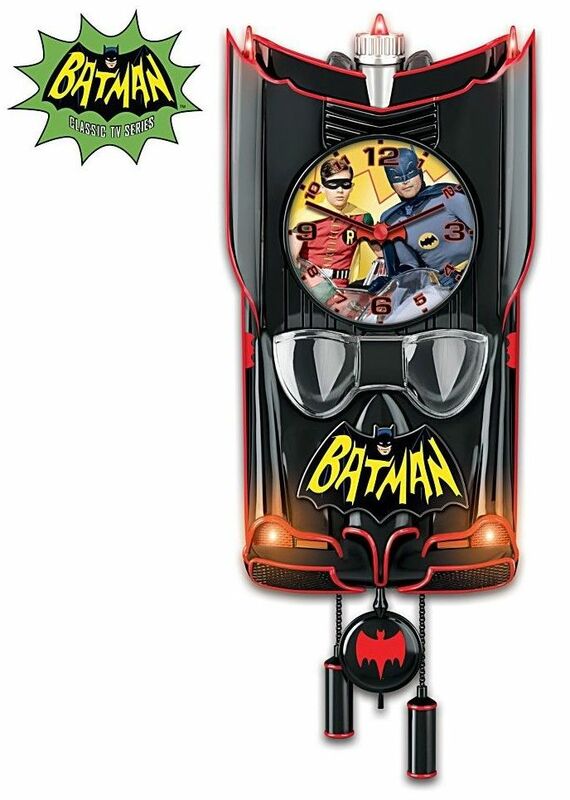 This BATMOBILE wall clock is handcrafted and hand-painted in automotive high-gloss black and red. Lights up and plays music! 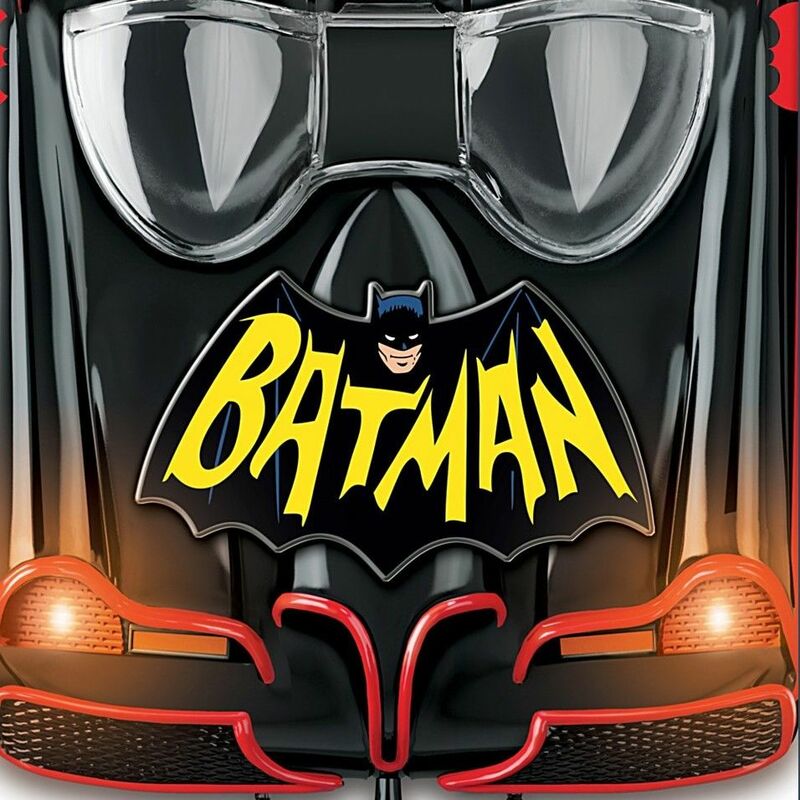 The headlights and tail lights illuminate at the top of each hour while music plays. 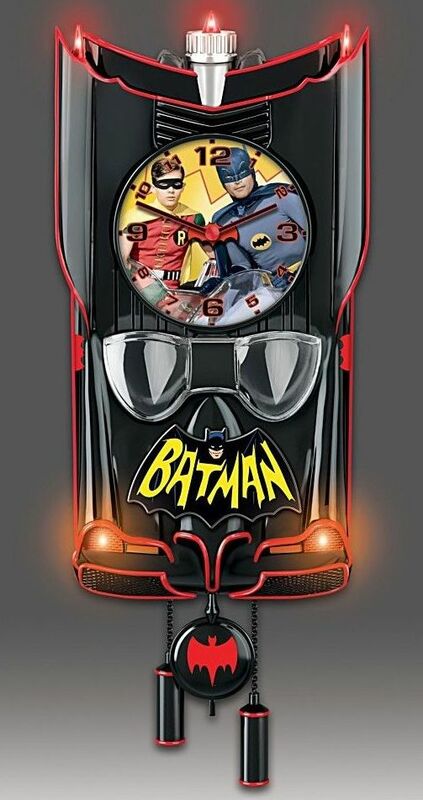 BATMAN and ROBIN appear in full color on the clock face while the BATMAN classic TV series logo rests on the hood. Edition limited 295 casting days, comes with Certificate of Authenticity.